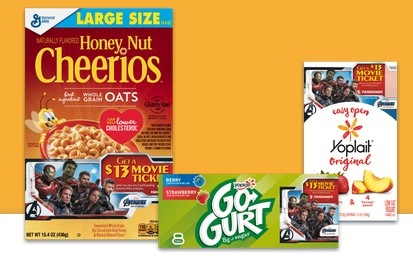 Right now, when you purchase three General Mills Cereals products (including cereal and yogurt), you can score a FREE $13 Movie Ticket from Fandango! Simply enter in your information and upload an image of your receipt. Valid through May 20, 2019.